That’s ENO as in the English National Opera, as opposed to Brian Eno, which would be more like Proggy and Bess. From the majestic opening number, it’s immediately clear why The Gershwins’ 1935 classic is still celebrated to this day, and why ‘Summertime’ itself became one of the most recorded songs of all time; there are at least 25,000 versions (according to the programme), the best being Janis Joplin‘s (according to me). Further reasons for the opera’s enduring legacy gradually reveal themselves over the next 3 hours: emotional relationships and characters; a gorgeous yet haunting jazz-opera score by George Gershwin (Miles Davis‘ interpretation is its own thing of beauty); and a story that gives rare voice to an American underclass. One can only imagine how bold it was in the ’30s to have a black cast singing opera, and that audacity continues to ring loudly around the theatre in 2018. Its approach to gender and disability feel equally modern, as the non-conformist Bess is lured away from the disabled beggar Porgy by men looking to exploit her: the drug dealer Sportin’ Life (one of the greatest names in anything) and her violent lover Crown. The performers vary in style but each player is magnificent, as is the revolving tenement set, not to mention the subtitles above the stage which are useful even in an English-language opera. 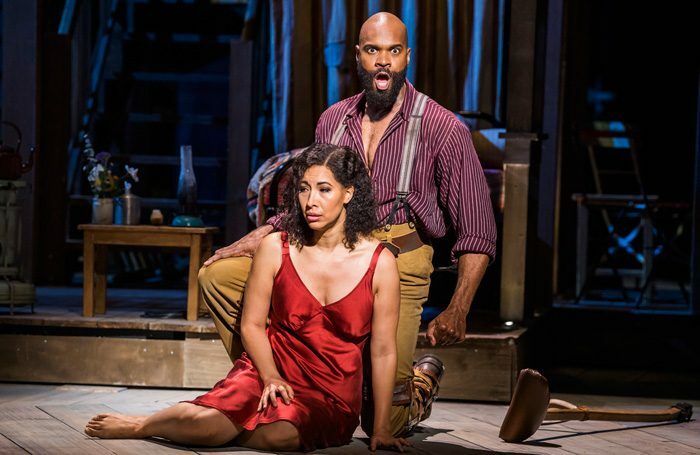 It’s that combination of soulful spirituals and operatic jazz that makes Porgy and Bess such a unique experience (Gershwin called it a “folk opera”), worthy of a solid ten out of tenement. Porgy and Bess is playing at the London Coliseum until 17th November.